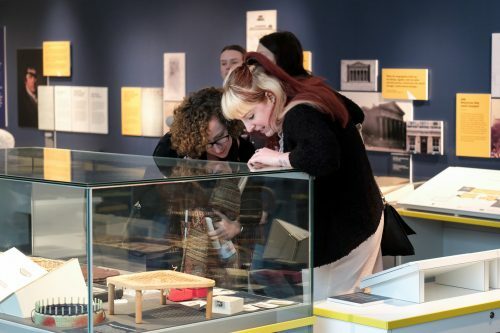 Accentuate’s project History of Place held its ‘Rethinking Disability’ symposium at the Museum of Liverpool on March 9th, to discuss what needs to change in museums and galleries when it comes to disability representation in the museum sector. Steph Niciu reflects on the afternoon and how it got her thinking in ways that she had not before. When thinking about museums and galleries, the representation of disability is not something that springs to mind. In fact, it is very much overlooked to the point where it is either not featured at all or when it is, disabled people are stereotyped and their real stories remain unheard. For many people, including myself, we have learnt to either lower expectations or not have any at all when it comes to representation of disabled people. Disability is not an integral part of museums and galleries, so ‘Rethinking Disability’ got us looking at why that is and how we can bring about change. The medical model is very prevalent within the museum sector. When disabled people are seen, we are very much defined by our impairments. Jocelyn Dodd, director of the Research Centre for Museums and Galleries at Leicester University, explained that her work over many years has attempted to challenge that by adopting the social model in her approach. Her 2003-4 research project Buried in the Footnotes, looked at what material exists in museums that relates to disabled people and our history. She surveyed 100 museums and found a wealth of material, however the majority of the curation stereotyped disabled people as either being passive, dependent, freaks, tragic or as heroes. The medical model is something that disabled people are continually trying to challenge. It is not easy to change people’s perceptions, but if it is something that we feel strongly and passionately about then we need to take action. In reality, change takes time. And lasting change requires a lot of persistence and resilience. Mat Fraser’s Cabinet of Curiosities, (which won the Observer’s Ethical Awards for Arts and Culture in 2014) is one project the Research Centre spearheaded to challenge medical model perceptions within the Museum, alongside the more recent Exceptional and Extraordinary: Unruly Bodies and Minds in a Medical Museum. 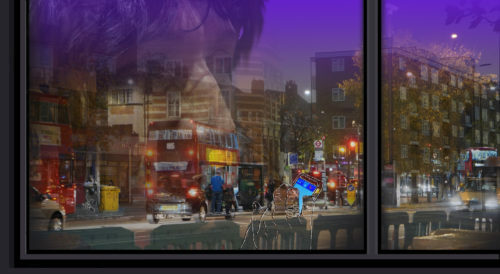 Accentuate’s History of Place is dedicated to exploring the life stories of disabled people found within the archives of a number of historic institutions across the UK. 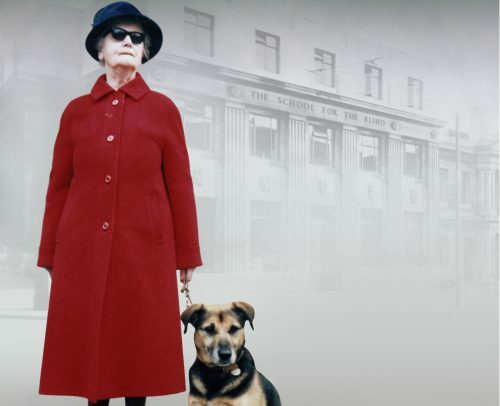 Two current exhibitions: Brave Poor Things: Reclaiming Bristol’s Disability History and The Blind School: Pioneering people and places have both been curated from the perspective of telling the real histories of disabled people rather than the stereotyped assumptions about their lives. While these examples showed that progress is being made, exhibitions about disability are still under the radar and are not being given enough attention and promotion within mainstream media. I hadn’t heard of many of the projects spoken about until the symposium. This was significant as I think we need to see a shift in attitudes in general, not just in this sector. 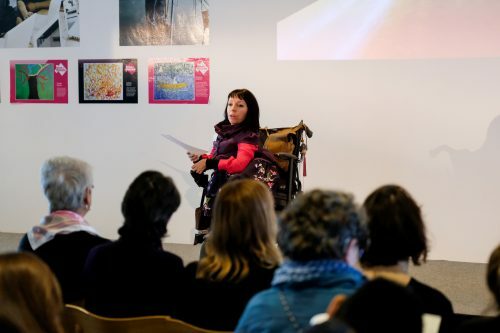 Essentially, members of the public, both disabled and non-disabled, need to recognise the importance of the creative work of disabled people and its value to society. It is also important to think outside of exhibitions, ultimately for the disabled people it is about the whole experience when visiting a museum or gallery. Speakers at the symposium talked about a wide range of issues including employing a diverse work force and the need to get more disabled people involved through access to education, scholarships and into work. There was talk of building accessibility, marketing and how museums and galleries communicate with disabled customers online and particularly through their use of terminology. As well as this, the symposium highlighted the importance of staff being able to deal with access requirements in a way that makes the disabled person feel like they are just as valuable as a non-disabled customer, have the same human rights as anyone else, and that museums and galleries should make this more of a priority. As a frequent museum and gallery-goer, I cannot say that I have experienced poor practice when it comes to seeing exhibitions. When I have visited one, staff have been more than happy to help me if I have asked for it, which I know is not the case for everyone, but through my own experience, I have seen that this sector is valuing disabled customers more than it has done previously. I went to The Blind School: Pioneering People and Places at Liverpool Museum recently, and really enjoyed it. I was particularly impressed by the lengths the exhibition went to in order to make it accessible for a people with a variety of impairments. The fact it focused on a history that was unknown to Liverpool has inspired me to see more disability-led work. 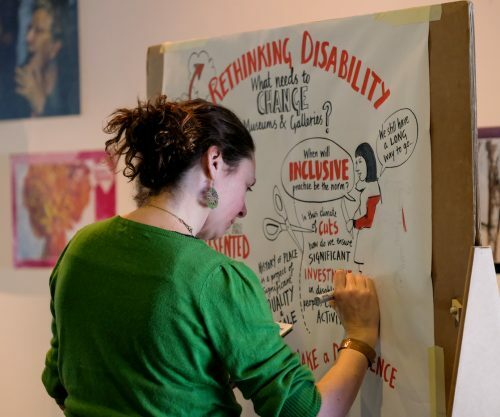 It was evident throughout the Rethinking Disability symposium that people were enthused and wanted to take action and build on the progress that has been made. There was talk of museums and galleries being bolder, more challenging and less fearful of putting on disability-led work. Barry Ginley, Head of Disability and Inclusion at the V&A, said that exhibitions about disability are not risky, but they are ambitious, and that was a powerful point that really made an impression on people in the room. Evidently, though, this symposium demonstrated how much work we still have to do, but it was important to see organisations that have the same goal and vision coming together to state their intentions to make disability become an integral part of the museum sector.